Nowadays, the main energy providers worldwide are still carbon-based fossil fuels, which are heavy-polluting and harmful for the environment. Fortunately, there are currently more people around the world investing in alternative energy rather than traditional fossil fuels. 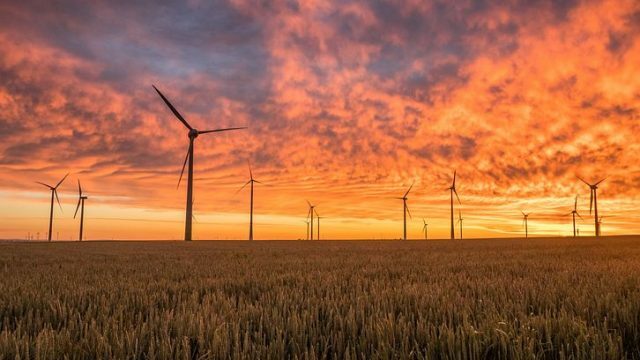 Using alternative energy has great benefits that go beyond helping the environment, being able to influence various industries around the world. Once such industry is the valve manufacturing industry. In this article, we’ll discuss about the influence that alternative energy production has on the valve manufacturing industry and on our environment overall. In order for us to be able to create renewable energy, we need to have the right infrastructure for the process. That’s why the rising global use of alternative energy has a more than noticeable impact on multiple industries. The valve manufacturing industry is also affected by these global changes, given the fact that suppliers have to respond to them by focusing more on renewable energy use. For the longest time, the valve manufacturing industry has based its activity on using fossil fuels, which we have already established that are very harmful for the environment. In order for the industry to function in an environment based on alternative energy, there are certain design changes that need to be applied to some equipments that are necessary for valve manufacturing. The main changes have something to do with control valves, which are required for different uses: solar thermal power plants, hydrogen energy or geothermal energy. But let’s discuss each of these individually! In order for us to be able to use solar thermal power plants in a safe environment, the control valves responsible for pumping hot oil require extended bonnets, that would help isolate the body of the valve from molten salt used in solar thermal energy production. This way, we end up using valves that are suitable for all sorts of environments, whether it’s frozen land or desert. Naturally, hydrogen is known for being highly reactive and explosive. That being said, the manufacturing of hydrogen control valves becomes a tedious process, because even the smallest mistake becomes a big problem when these products are actually being used. It is crucial to pay close attention to the design and the production of this kind of valves, making sure that you can seal them properly and tightly. The issue with valves when it comes to geothermal energy processes, is their resistance to heat; they need to be able to handle lots of it. Geothermal energy processes usually take place in very corrosive environments, a fact which can also highly impact the design changes required for the manufacturing of valves. Even the slightest mistake in production can result in severe corrosion suffered by different components. Even though the costs for control valves could be significantly higher in the production phase, this option ensures long term usage, which is definitely cost-effective. If we consider the way people are currently investing in the production of energy, it is safe to say that we are on the right path. The reason for that is given to us by World Economic Forum, according to which $286 billion were invested globally in alternative energy production, and only $130 billion were invested in fossil fuel energy production. With the amount of money that are being invested in research and development of renewable energy sources, more and more people will soon be able to afford to switch to the greener option. The switch has become a very possible option, something that is very obvious in Canada, where 73 percent of the energy produced comes from renewables. More and more countries around the world are currently working hard to find ways to get rid of fossil fuels for energy production. The green method, based on alternative energy is starting to become a trend that is here to stay, as it offers us cheaper, environment-friendly solutions. 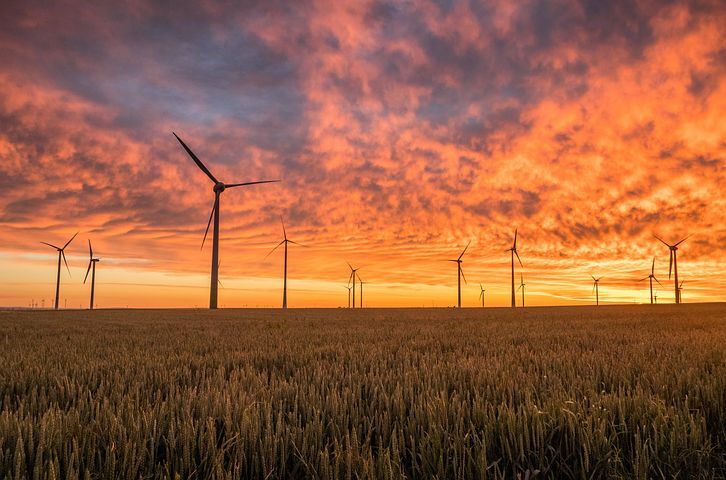 The future looks great, because there are numerous investors out there who are looking to help speed-up the process of switching to renewable energy sources. If we could all work together to promote sustainability and make this possible, the switch can result in less pollution, therefore, a better planet for all of us. Earth Day is celebrated each year in April, and the date is coming up quick. The movement began in 1970, and, every year since, people spanning the globe have come together to help take care of the planet. While habits like recycling and minimizing consumption are important to practice year-round, the annual holiday is the perfect time to do something extra or help kids understand the importance of protecting our planet. If you are looking for a great way to involve your family in the Earth Day festivities, check out these eco-friendly crafts for kids. Making leaf prints on newspaper or wooden materials is a fun craft that is perfect for young children. It can also be performed on blank t shirts for a design that kids can wear and show off their eco-friendly enthusiasm to their friends. All you need is an assortment of leaves, acrylic paint, newspaper, saucers and a plastic soda bottle. Start by taking a walk around the yard or in the woods to collect a variety of different types of leaves. For older children, this is a good opportunity to try to identify different types of leaves and the trees they came from. When you return home, pour a small amount of acrylic paint in each saucer. A small plate will work as well. Spread a sheet of newspaper on a large, flat surface. Carefully dip each leaf in pain, then place it painted side down on the newspaper. Repeat this until several leaves in varying colors are arranged on the newspaper. Cover the entire project with another large sheet of newspaper. Carefully roll the soda bottle over the top. Remove the top layer of newspaper, and then help your child carefully remove the leaves. 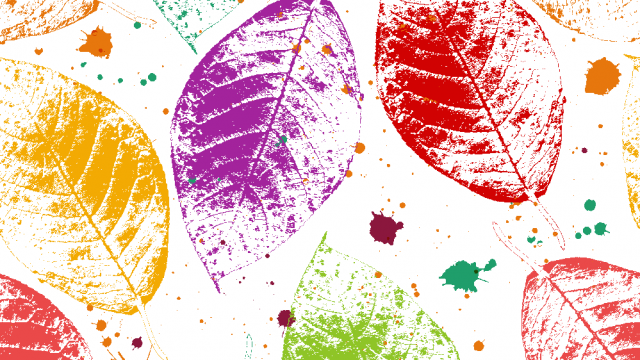 When you’re finished, you and your child will have a colorful set of leaf prints to display. Help your little ones make your home smell amazing by making potpourri pinecones. This project is appropriate for kids who are preschool-age and older, and it’s easy to complete in an afternoon. You will need pinecones; ½ cup of water; ½ cup of glue; cinnamon, cloves, or other yummy-smelling spices; a paintbrush; and a mixing bowl, a spoon, and a plastic bowl for each spice. 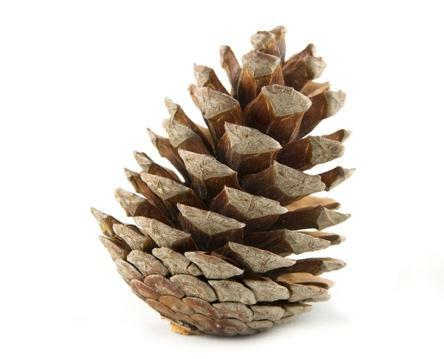 Go for a walk in the woods and help your child select a variety of pinecones. Larger ones are better than tiny ones. When you return home, protect the work area using newspapers. Combine the glue and water in a mixing bowl and put each spice in its own plastic bowl. Use the paintbrush to coat an entire pinecone in the glue/water mixtures. While the glue is still wet, roll the pinecone in the spices, making sure to cover the entire surface. Repeat with all your pinecones. When you’re finished, set them aside to dry for several hours or overnight. Once dried, the fragrant pinecones can be displayed in a decorative bowl or basket. Who says fun toys have to be expensive? Help your child make their own using recycled materials you already have lying around your house. You will need a foam plastic egg carton, cardboard tubes from toilet paper, twine or string, tape, paint, and paintbrushes. 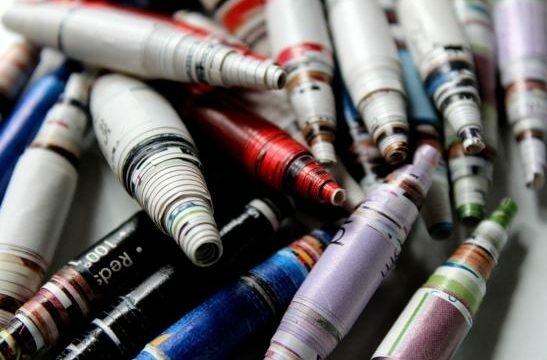 Start by painting the cardboard tubes in different colors and allowing them to dry. Cut two sections from the foam egg carton. These will be used for the worm’s head and tail. Cut a 2.5-foot length of string. Help your child thread the string first through one of the pieces of the egg carton, and then through the cardboard tubes and the other piece of egg carton. Leave at least a foot of string at the head end for pulling. Tie knots at both ends and secure the string on the tail end using tape. Decorate the face. Your child will love pulling the worm along and watching it roll and wiggle about. Rocks are the perfect canvas for expressing your creativity, and painting them is a project that kids of all ages can enjoy. Thanks to the popular activity of hiding decorated rocks for others to find, this project is also fun for adults. 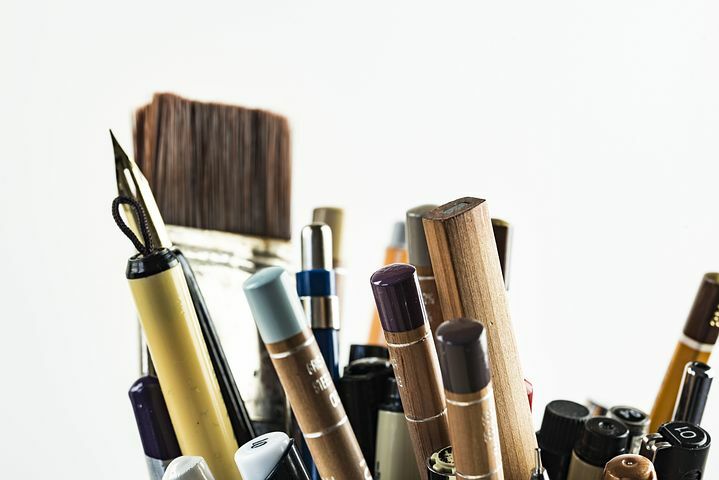 To get started, you only need three things: rocks, paints, and brushes. Smooth rocks work better for this project than rougher ones, but rocks with unique shapes work well for creating certain designs. Use smooth, round stones to create a family of ladybugs, or use larger stones to create gratitude stones to present to family and friends. Your creativity is the only limit when it comes to this project. An acorn frame is an easy, eco-friendly project that is perfect for gift-giving. You only need a few basic supplies: enough acorn tops to cover a frame, white craft glue, and a wooden picture frame. Start by drying your acorn tops. Place them on a cookie sheet, and then bake them in a preheated 225-degree oven for 40 minutes. This removes excess moisture and ensures that the acorn tops will adhere properly. Remove them from the oven and allow them to cool. Apply white glue to the frame generously and cover with acorn tops. Work in sections until the entire frame is covered. Once you’ve covered the frame, use glue to fill in any gaps between the acorns. Let dry overnight. Once dry, you can paint the acorn tops or apply glue and glitter for a more colorful, decorative finish. You could also add a twine ribbon to give it a bit more style. If you have a bunch of magazines lying around, you have the perfect material for making beautiful beads. Magazine bead bracelets are easy to make, and it is a project that is enjoyable for both younger kids and teens. Gather up these supplies to get started: magazines, white glue, scissors, straw, and pipe cleaners or yarn. Cut strips out of colorful magazine pages. The size doesn’t need to be exact, but the width should average between .5 to 1.5 inches. Roll a strip of magazine paper firmly around the straw. After you wrap it around one full time, put a line of glue down the strip’s inside length. Carefully roll the strip around the straw. If a bit of glue squeezes out, that’s okay! When you’ve wrapped the entire strip, rub excess glue around it to secure the end. Slide the bead off the straw. Wipe glue residue off the straw and repeat until you have enough beads for your bracelet. Allow beads to dry completely on a nonporous surface, and then string them on a pipe cleaner or a piece of yarn to make a bracelet.